老王的親戚Maggi在塗鴉牆上說: 「脽教你昨天吃完飯不趕緊洗碗 …. 被老婆抱怨了吧?」~ 老王的鄰居Jenny看了以後會如何呢? 想像一下，Jackie貼了一張瘋狂趴的照片，剛好老王褲子被拉到一半，手中揮著女生的胸罩 … Maggie也在塗鴉牆上貼了聚餐照片，老王正好左手抱著老二，右手牽著老大，跟抱著老三的老婆在吵架 … Arthur也貼出大學時代的上課照片，大家都認真上課，只有老王翻白眼在打瞌睡中 ……. 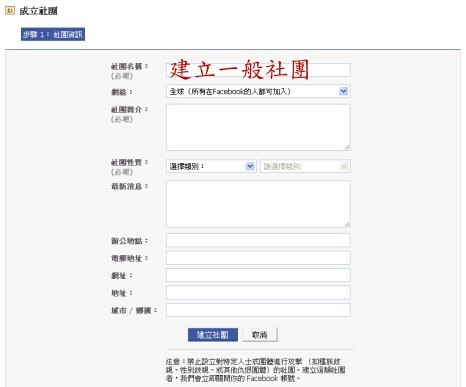 WebproNews說到: I can definitely see the feature being abused for politics. It’s probably already happening. 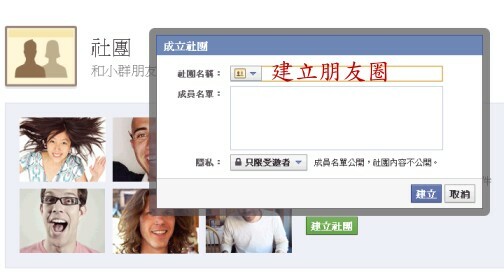 我確定這個Facebook groups (朋友圈)會被濫用在政治上. 應該已經發生了. The feature does appear to only let you add people who you are friends with to Groups, so you may want to choose your friends carefully. It may not be a good idea to be friends with just anybody, and if you are, at least keep up with your notifications. You will be notified when you’ve been added to a group. 這個功能可讓你的朋友把你加入圈圈中. 所以要慎選朋友啦. 毫無過濾的跟任何人當朋友似乎不是個好主意. 至少你必須注意FB的通知信. 被加入圈圈時會被通知. The email feature has received some criticism as well. If you are added to a group and you don’t keep up with your notifications, you may find your inbox getting filled up by people in that group posting things. You can put an end to this by opting out, but some feel you should have to opt in to this feature to begin with. 如果你沒有注意郵件通知. 你可能就被陸續的更新通知塞滿. 當然你可以取消接受通知. 但是最好剛開始時設定通知. 一個全球號稱五億使用者的社交網路，竟然臨時亂拼湊起來一個虎爛的方式來交代，真的是沒有厲害的人了嗎? 期待中 …. 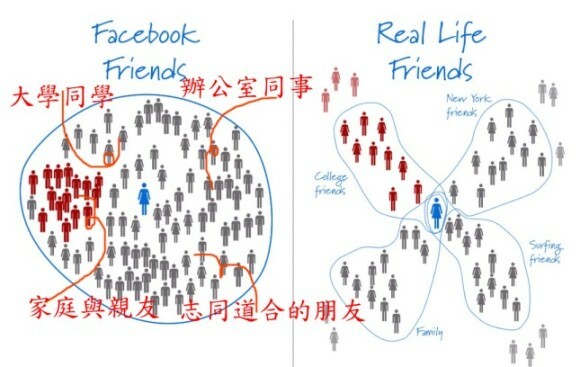 這個Facebook groups的新功能最後會如何呢? 耐心觀察了!